Satchel on TV. 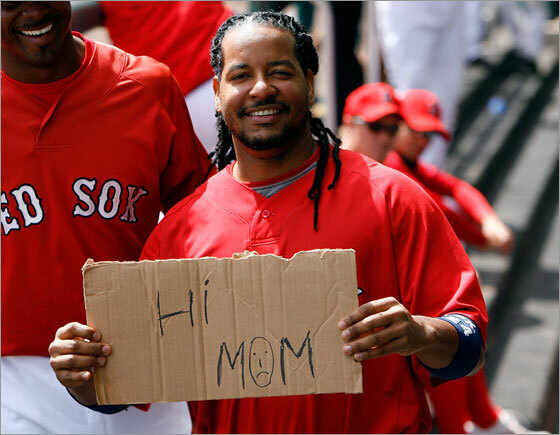 Manny. The Cobra. MJ. Tony throwing down. | ninety feet of perfection. 1978. 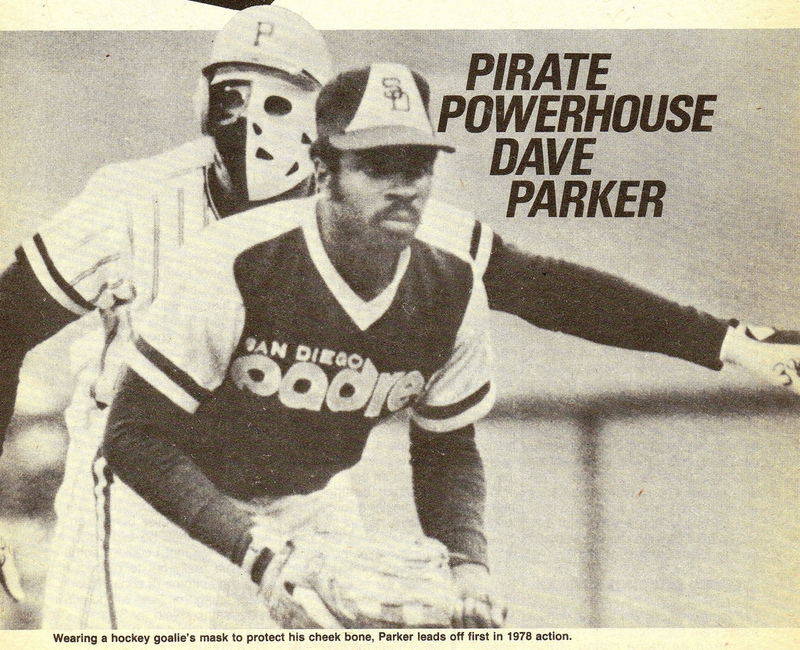 Dave Parker of the Pittsburgh Pirates was not going to let a fractured cheekbone and jaw interrupt his season. After breaking both bones in his face in a collision at home plate with New York Mets catcher John Stearns he quickly came back 2 weeks later wearing a Hockey Mask hybrid to protect his face. After realizing that the hockey mask prohibited him from seeing some pitches he came back with a Football hybrid which allowed him to view pitches better. ESPN had a great article on Parker and this a couple years ago which is still available to read HERE. 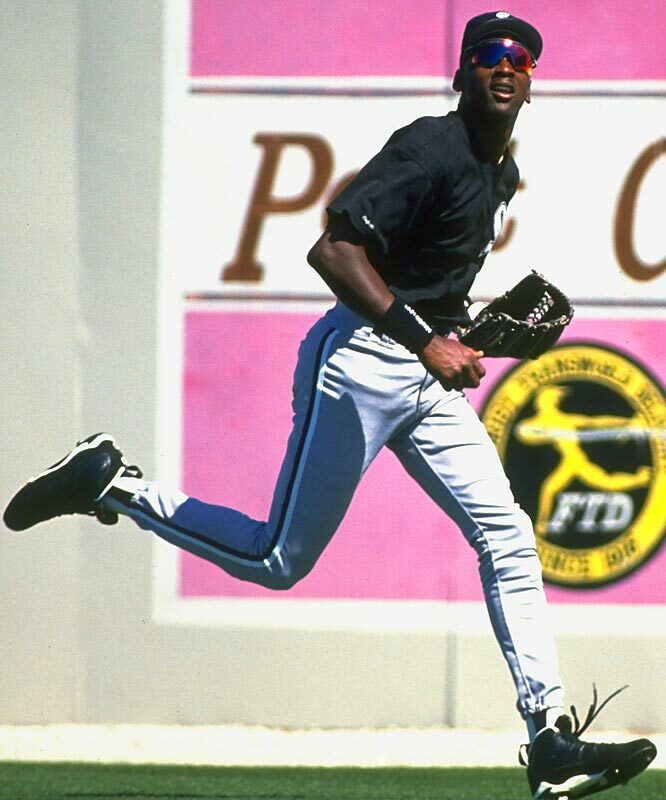 Michael Jordan tracking down a flyball as a member of the 1994 Birmingham Barons. Tony Gwynn. For the most part Gwynn was known as one of more level headed and respectable guys in the Majors during his 20 year career. 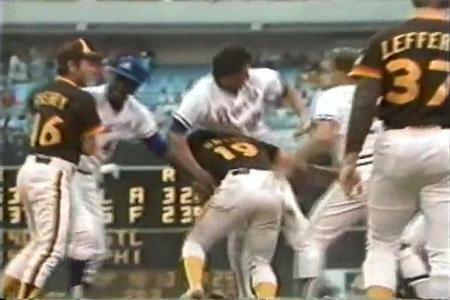 However during the infamous 1984 brawl between the San Diego Padres and Atlanta Braves he had to keep it real. In this photo Tony is seen sacking Atlanta Outfielder Brad Komminsk. I wish I could find good video of the entire brawl as it is so entertaining and I would have really liked to see what else Gwynn did during the brawl. ~ by duaneharris19 on October 29, 2010.